Just minutes from Hakata Station, the Hakata Old Town area features many temples and older neighborhoods. This area contains countless spots where local traditions have continued to be passed down for many years. It is a place with a mysterious atmosphere that almost fells if it couldn't have been built by people. Experience the history of medieval Hakata while travelling around the many traditional areas and power spots of Hakata Old Town! The Hakata Sennen-no Mon, completed in March 2014, serves to welcome visitors to the Temple Town. The gate was named to recognize the accumulated history of Hakata, and to pray for continued prosperity for the next 1,000 years. 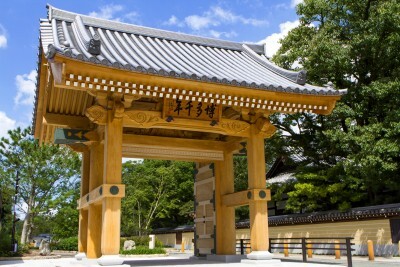 Along with its solemn presence, the gate is filled with details representative of the Hakata, such as the thousand year camphor used, donated by the Dazaifu Tenmangu Shrine, and for the transom, the carved openwork featuring patterns from the kenjo-gara style of local Hakata textiles. 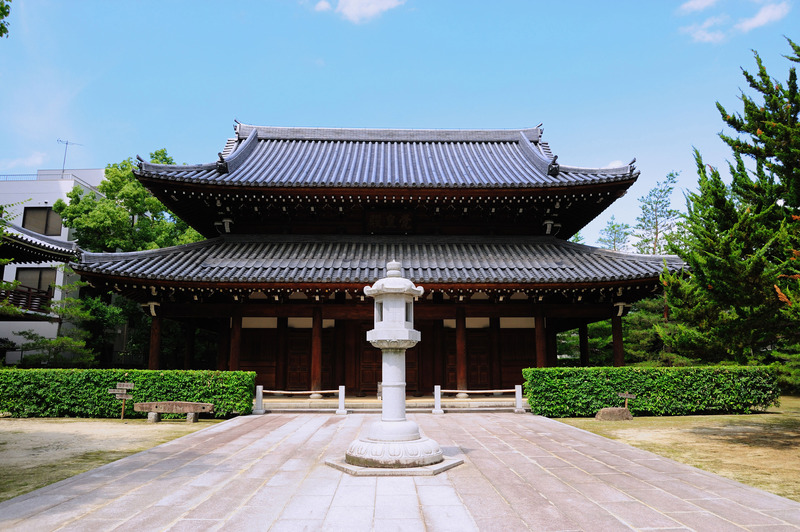 This temple is dedicated to the Gods Emperor Nintoku, Onamuchi no Mikoto, and Sukunahikona no Mikoto. 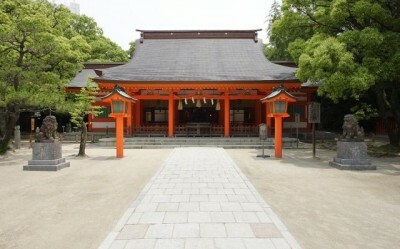 Locally, it is often called Yakuhachiman or Yakuyoke Hachiman (meaning, "the Temple where you can ward off evil".) Many people in the surrounding areas, even outside of Hakata, have faith in the deities of Waka Hachimangu Temple. The temple is often very crowded late into the night on the eve of the new year in both the western and Chinese calendars as people gather to pray for the dispelling of the evil. 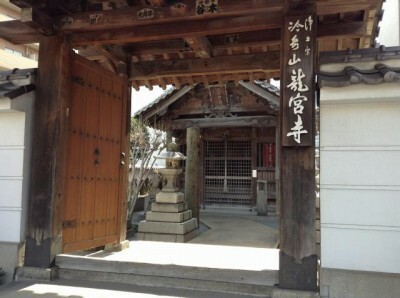 For those subscribing to the Japanese belief that there are certain "yakudoshi" or "bad luck years" in everyone's lives, it is said that if you pray at this temple the year before your yakudoshi, the year of your yakudoshi, and the year after, you will be free of bad luck the following year. Shakokumei was a trader from Song (modern-day China) who lived in Hakata during the Kamakura Period (1185 to 1333). A firm believer in Buddhism, together with the Buddhist priest Shoichi Kokushi, who had returned to Japan after living in Song, he helped to build Jotenji Temple. He is also said to have helped the poor and spread the practice of acupuncture. 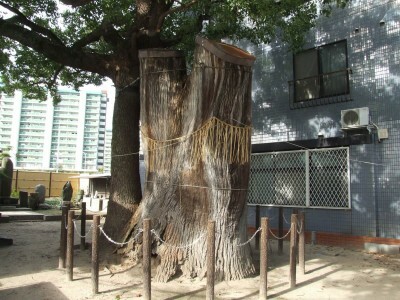 After he passed away, he was buried at this location, and it is said that the Camphor that now stands here grew over his grave until it engulfed it. For that reason, he is now fondly referred to as “Ogususama” (literally, “Big Camphor Lord”). Jotenji Temple was built in the third year of the Ninji era, or 1242. The temple features an uncommon layout in which the grounds are split into eastern and western sections due to the addition of a city street running down the middle during a previous city rezoning project. 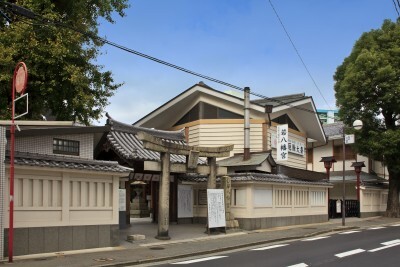 Enni Ben’en, who established Jotenji Temple, is said to have brought back the skills to make udon and soba noodles and manju cakes when he returned from Song dynasty China, and thus the area is known as the birthplace of those foods in Japan. The temple is also the originator of the Hakata Gion Yamakasa festival, held in July every year, during which a sacred path (kiyomichi) is established in front of the temple. Crowds gather there to watch the Yamakasa float being carried around the area as part of the dedication ritual. The Fukuoka Great Buddha enshrined at Tochoji Temple is Japan’s largest wooden statue of a seated Buddha at 10.8 meters in height. The statue’s nimbus features two rows of 7 and 13 Buddha images, with a further 5,000 small Buddha images on the wall to the back, creating a very impressive presence. There is also an opening in the base of the statue representing the path from hell to heaven. The pathway inside, decorated in “hell picture scrolls”, leads into darkness. If one uses the handrails to proceed further, they will find an image of heaven at the end bathed in a subtle light. It is said that touching the Buddha ring mid route will enable one to enter heaven. 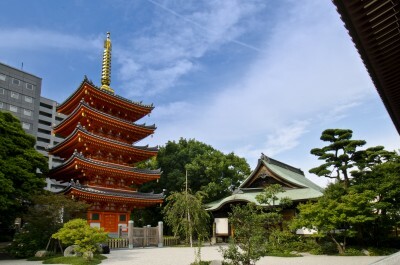 The temple also boasts other attractions that evoke a sense of both distant and recent history, such as the unique revolving hexagonal hall and the five story pagoda completed in 2011 after 37 years of construction. Ryuguji Temple was established during the Kamakura period, when it was located on the shore near Sode-no-Minato port, where legend says a caught mermaid was buried. In fact, perhaps going beyond legend, it is said that the bones of the mermaid are still preserved in the main hall, along with a scroll describing the mermaid’s life. 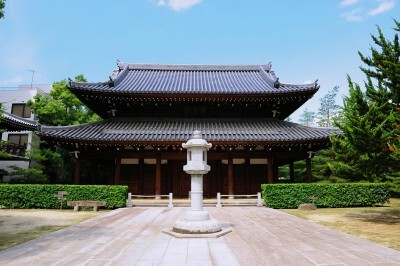 There is also the Kannondo which is one of the seven such temples in Hakata and another destination for pilgrimages. A temple of the Chinzei Sect of Jodo Buddhism, opened in 1396 by Gyozan Shonin of the Dairensha Buddhist Society. This temple is said to have been moved to its current location from nearby Chiyomachi in Hakata-ku after Kuroda Nagamasa, the first lord of the old Fukuoka Domain, started reigning in the area, in order to shore up its defenses. There are two temples next to each other on the temple grounds, the Enma Temple and the Kannon Temple, both rebuilt in June 2016. 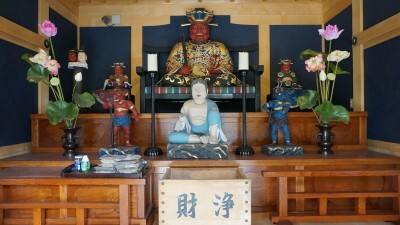 Enshrined at Kaigenji are impactful statues of the bodhisattvas Enma-Daio and Kannon. The Enma Temple contains a gacha-style capsule machine that you can buy Enma fortunes from for 300 yen. Give it a try! 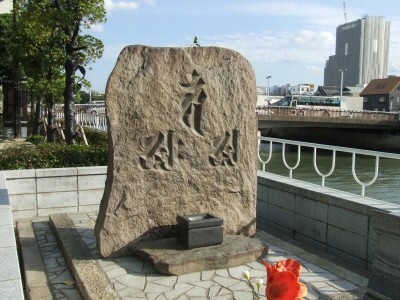 During the reign of Emperor Shomu (724-749), a daughter of Sano Chikayo, an ancient official of defense in Chuikuzen area (present Fukuoka prefecture), was killed by her own father when he found a wet clothe of a fisherman by the daughter's bed and doubted her misconduct, which had been actually framed up by the step-mother because she was so jealous with the daughter's beauty. This is the word origin of the common expression “Nureginu (a wet clothe)” which means “false accusation”. This burial mound set up in 1344 is said to be the memorial tomb for the daughter. The stone monument of 165 meters is made of whinstone and it is one of the typical buildings from the middle age. Three bold characters on the front symbolize the three spiritual statues which Buddha achieved and taught; Dainichi Nyorai (top), Hodo Nyorai (right bottom) and Tenkuraion Nyorai (left bottom). In the east across the National Route is a Nureginusan Shogenji Temple which was constructed in 1669.